Preheat oven to 350°F. Grease a 10 x 12-inch baking dish with softened butter. In a large microwave-safe bowl, combine the milk and oats and microwave on high, stopping once to stir, 5 to 6 minutes. Let the oatmeal sit on the counter to thicken for 10 minutes, but not longer if possible because you want the oatmeal to finish doing its thing in the oven. 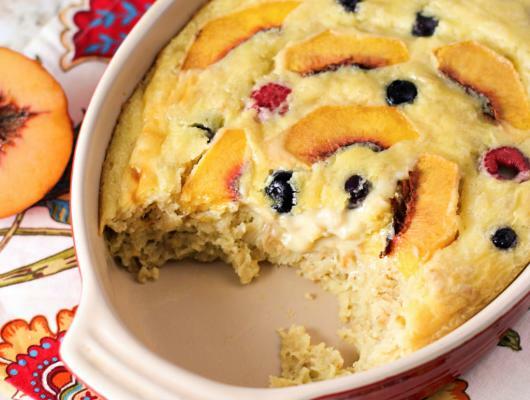 Stir the cake mix into the cooked oatmeal until smooth, then mix in the eggs, vanilla, melted butter, and salt. 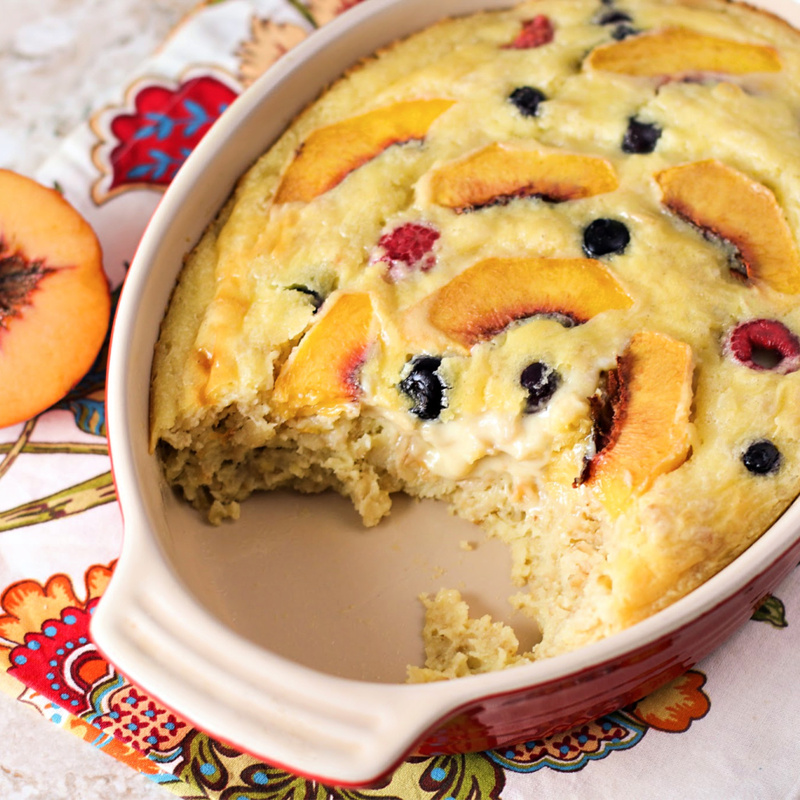 Transfer the batter to the prepared baking dish, then scatter both the berries and peaches on top. Bake until the center is just set and seems almost undercooked, 30 to 35 minutes. It will jiggle a little, and when you spoon into the cake, it may separate into 2 layers: a cakey, custardy layer and an oatmealy layer. This is actual magic. Spoon into bowls and serve warm. This Yellow Cake Baked Oatmeal recipe is absolutely YUMMY and perfect for a weekend Breakfast or Brunch! Who says you can’t have Cake for Breakfast?